​Giralang is a beautiful established suburb in Belconnen known for its wide, open playing fields, many playgrounds and tight knit community. It’s not uncommon to see children playing in the streets, people walking their dogs in the evening and neighbours catching up for lunch on a weekend. Many people have raised loving families in Giralang and hold a strong connection to what they believe is a very, very special suburb. A suburb that’s about to get even more special with the launch of the highly-anticipated mixed-use development, Audri. Audri will provide residents of Giralang and surrounding suburbs with a community hub - a place for locals to live, socialise and access much needed facilities and amenities. The development will include 6 commercial spaces, including a 1000m2 supermarket. This offers residents a convenient lifestyle with easy access to health facilities, shops and cafes. 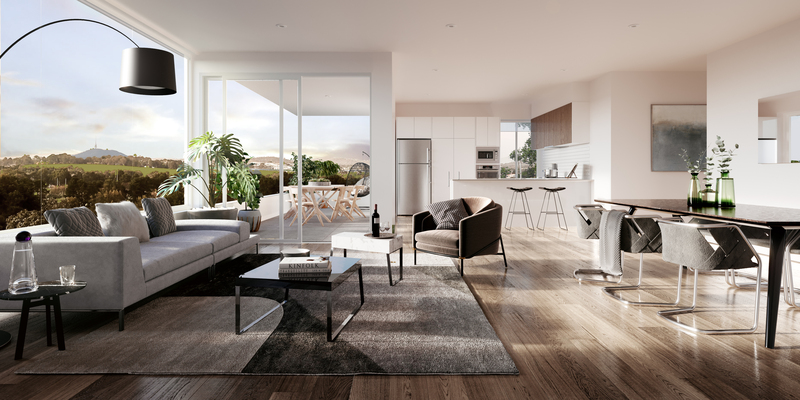 The launch comes after an extensive community consultation period which saw the developer, Nikias Diamond, working very closely with Giralang residents to deliver a development that adds value to the area without detracting from the peacefulness of the suburb. Dimitri Diamond, Director of Nikias Diamond, said the views and ideas put forward by the Giralang community during the consultation period were fundamental in creating Audri. “We all wanted to build a community focused centre, a place that we can proudly call our local. Our vision was to create a space where people can meet and interact and conduct their everyday lives. I think we’ve achieved exactly that,” Dimitri said. A large focus for Nikias Diamond was to design a building that paid respect to the history of Giralang and its community. One element of this is seen in the pattern of stars that covers the buildings entry way. Giralang means star in the language of the Wiradhuri Aboriginal people and the team thought this would be a fitting nod to the suburb’s name. The overall design of Audri aims to complement the leafy surrounds of Giralang and has been based on the local architecture and landscape of the suburb. Audri boasts a mix of 1, 2 and 3-bedroom apartments and lofts, featuring light-filled open-plan living spaces, gourmet kitchens and large balconies for entertaining. Selling Agent, Tony Trpeski, of Peter Blackshaw Projects, said Audri has received very strong interest from a mix of buyers since launching. “The opening weekend was non-stop, we sold over $4million worth of property in one day. It shows how much interest there is in Audri – how long people have been waiting for it to arrive”. “There’s a wide range of buyers enquiring. We’ve heard from young professionals who are attracted by the lifestyle benefits and young families who want to be close to schools, shops and playgrounds. That’s the beauty of Audri; the development caters to everyone” Tony said. Tony believes Audri will be particularly popular with current residents of Giralang and surrounding suburbs who are looking to downsize. “There’s a strong sense of community in Giralang. People who live here have a unique connection to the suburb. Before Audri, there were no options for downzisers who didn’t want to leave the area they love. Audri provides them with a convenient, easy lifestyle that’s just around the corner from where they raised their children” said Tony. One-bedroom apartments start from $329,000.00 with completion estimated for late 2020.